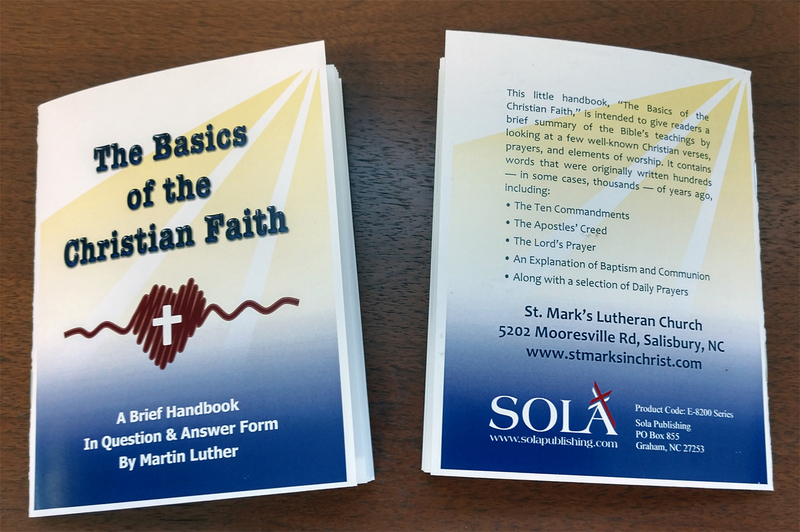 Sola has an edition of the Small Catechism that is useful in outreach. Some churches give "The Basics of the Christian Faith" to their visitors, or have copies in the pews for people to take home with them. Other churches use it in new members' packets. I take a copy to first-time visitors. In follow-up visits, I refer to "that booklet" so that the conversation ends up being a Bible study. Moreover, Sola offers this version of the Small Catechism in a customized version. Add your church's name, address, phone number or website. Click here for details. 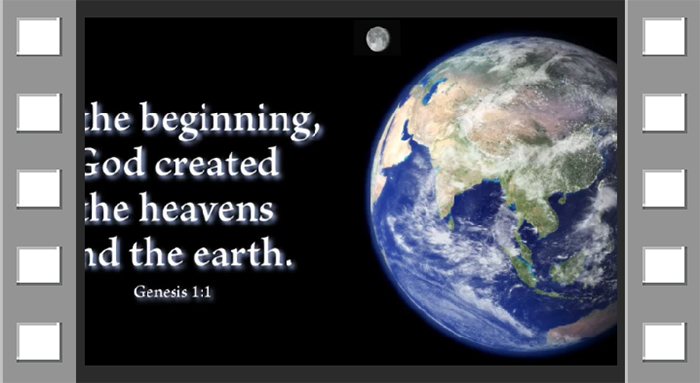 These two, free, Scripture videos are a collection of verses from most books of the Old Testament and all books of the New. They are set to music and are suitable for worship (perhaps during the gathering, offering, passing of peace), teaching, and general edification. A YouTube playlist is also available. Subscribe to our YouTube channel for updates to the collection. In short, the worship of the New Testament is spiritual. In other words, it is the righteousness of faith in the heart and the fruits of faith. Accordingly, it abolishes Levitical services. 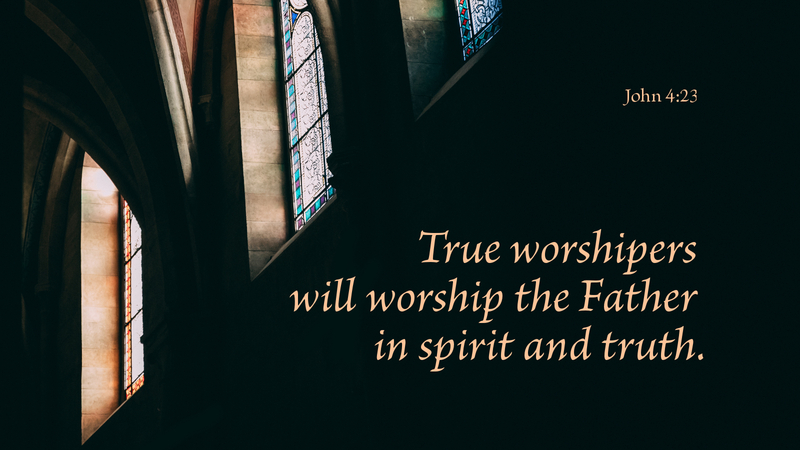 Christ says, “The true worshipers will worship the Father in spirit and truth, for such the Father seeks to worship him. God is spirit, and those who worship him must worship in spirit and truth” (John 4:23-24). This passage clearly condemns opinions about sacrifices which, they imagine, avail ex opere operato, and teaches that worship ought to be in spirit—with the heart and by faith. In the New Testament, there is no offering or service or work that merits God’s favor ex opere operato—on account of the work that has been done or the service rendered. In later editions of “The Apology of the Augsburg Confession,” it was added here that this idea is “absolutely devilish, pharisaical, and antichristian” because it cheapens the sacrifice of Christ. Our Lord alone has provided the work that avails for forgiveness of sin and right standing with God. Our reasonable response is “spiritual worship” (Rom 12:1) which is a service of the heart that God has filled with faith. It fears God, while loving and trusting him with the whole heart. This is that true, spiritual worship of the New Testament that does not expect a reward from God for their own services rendered. Prayer: Help me, O God, to worship you in spirit and in truth. Amen. Receive Sola's Lessons in the Lutheran Confessions by email. Write mryman@solapublishing.com with "Subscribe" as your subject. To unsubscribe, send an email to the same address with "Unsubscribe" as your subject. 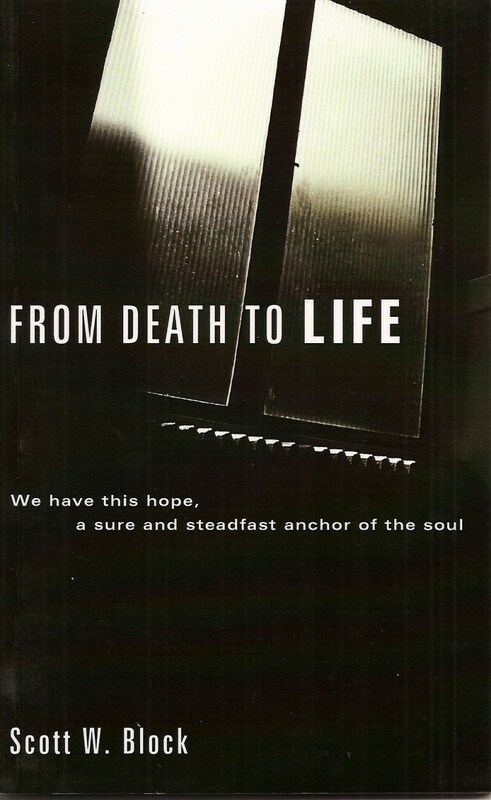 "From Death to Life" examines what happens when people die. In this book, the words of the Holy Bible and others like Martin Luther, will speak to you, tell you the truth, and give you words of comfort, so that you too can have the sure and steadfast anchor of the soul. To you, most excellent and chaste Emperor, they propose such laws—that no barbarity, however monstrous and cruel, would consider. 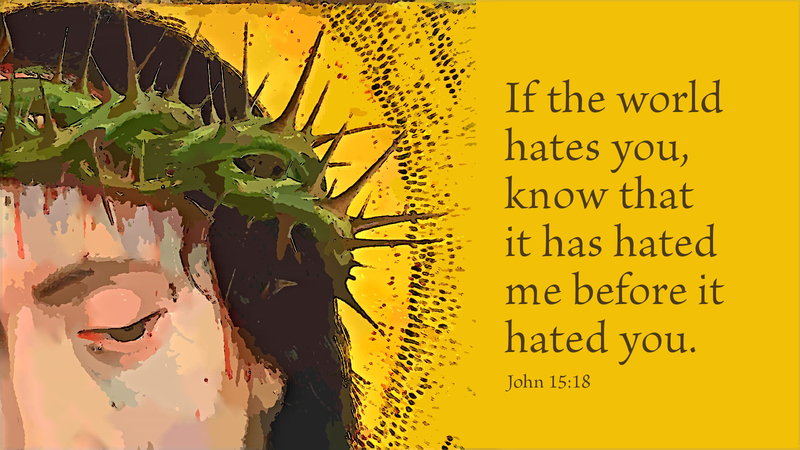 Because your character is not stained by disgrace or cruelty, we hope that you will deal with us charitably in this matter, especially when you have learned that we have the gravest reasons for our position, derived from the Word of God, which the adversaries oppose with the most trifling and vain opinions. Prayer: Give me the insight and the courage, O Lord, to take my stand in your Word. Amen. Holy Families! is an initiative of the North American Lutheran Church provided through a generous grant from the Thrivent Foundation, in honor of the 500th anniversary of the Lutheran Reformation (1517 AD to 2017 AD). 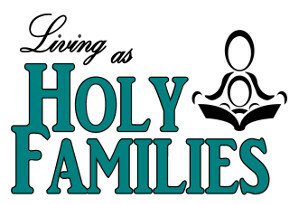 Produced by Sola Publishing, this special initiative includes a number of Lutheran discipleship resources for families and congregations, including Daily Family Prayer Resources, Parent Pages, Faith Formation downloadable pages for children/families, Educational Videos, Parents' Video/Discussion Series on Faith Formation, Reformation Bible Study: In the Luther Household. From what I can tell as a Lutheran pastor, the great theology of the Lutheran Confessions is lost to the church today and as for that reason, I think many Lutherans are rudderless in the ocean of the Word. We may read the Bible but unless we have a guide, we are often inclined to go in any direction and end up on odd shores of interpretation. Historically, our guide has been The Book of Concord. That collection of documents, written in the 16th century, has guided Lutherans for hundreds of years in what we confess the Scriptures mean. I am convinced that the only way to keep renewed Lutheran bodies from ending up on the reefs is to know why we believe what we confess. So, I have begun a multi-year project of writing new devotional material that teaches the Lutheran Confessions. Sola Devotions begins with a passage of Scripture that relates to a reading from The Book of Concord. That reading, though sometimes only a phrase, is also provided and is followed by an explanation of the Scripture and confession.